The Great Grand Master YANG Yun-song 楊筠松 put the two phrases above in consecutive manner in his rhymed folk song titled the “Classic of Heavenly Jade” or “Tian-Yu Jing” 《天玉經》. JIANG Da-hong 蔣大鴻, a Ming’s government official candidate, gave his disoriented explanation in his master thesis, the “Feng-shui Corrections” or “Di-li Bian-zheng” 《地理辨正》. Since then, people were trying to figure out what is this “Dipper Approach” in Feng-shui by connecting it with the so-called “父母三般卦” (“Fu-mu San-ban-gua”). Among the best of all, in his booked titled “The Explanations to ‘Feng-shui Corrections’” or “《地理辨正》直解”, ZHANG Zhong-shan 章仲山 interpreted the phrase of “父母三般卦” by using the flying stars as the combination of 1, 4, and 7, and likewise 2, 5, 8, and 3, 6, 9. Zhang’s interpretation has long been using as the guiding principle of the “Dipper Approach” by people without any slightest doubt. Has ZHANG been misled or even mistaken? “The Dipper Approach – An Untold Secret of the Great Grand Master YANG ” reveals the secret of the “Dipper Approach” by leading you through the very basic of YANG’s Feng-shui theory, complemented by the application of calendrical calculation, an essential ingredient of Chinese Metaphysics. Using a real life story to disclose the “Dipper Approach”. Walk you through historical archive of the “Complete Collections in Four Categories” or “Si-ku Quan-shu” 《四庫全書》, the “Feng-shui Corrections” 《地理辨正》, and the “Explanations to the ‘Feng-shui Corrections’”. Exploring how the phrases have been interpreted. Based upon YANG’s Feng-shui theory, re-defining the true meaning of “Fu-mu San-ban-gua”. Discloses special consideration using the “Dipper Approach” during the “8th Duo-decennial” era. 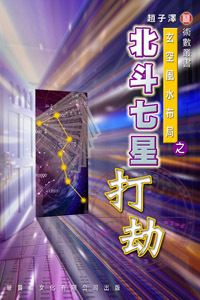 This book is written for people who want to know the explicit meaning of YANG’s Energy Theory especially when trying in a possible Feng-shui setting using the “Dipper Approach”.